First impressions last, and your website is often the first place that a prospect makes contact with your company. Around 80% of people start their search for products and services online. The majority will use that initial experience to decide wheher or not they are going to connect with you. So put yourself in their position. 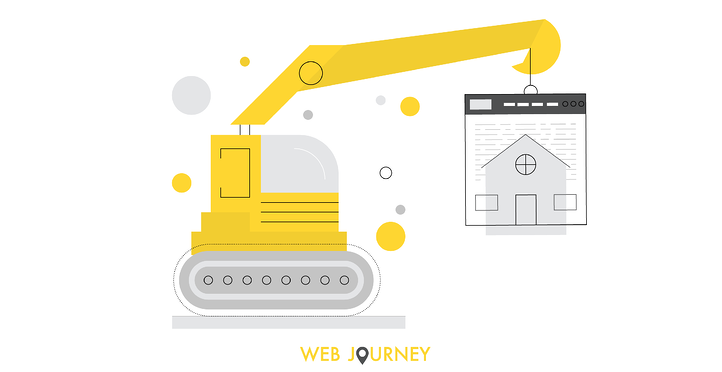 Take a a step back and take an objective look at your website. See if you would be likely to make contact if you were looking for your products or services. 57% of traffic is now coming from mobile devices according to a recent BriteEdge study. 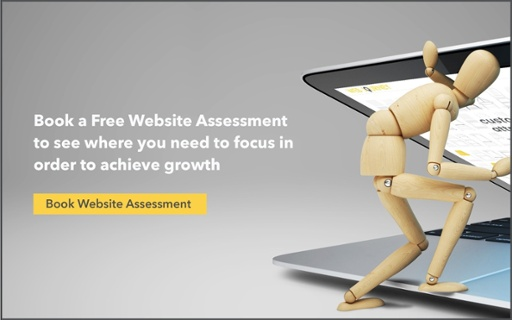 This figure will continue to rise which means that your website needs to be optimised to work well and look great on all types of devices from desktops to tablets to mobile phones. The solution to this problem is a responsive website. A responsive website is one which adapts to the size of the device which you are using. It 'rearranges' itself, reduces text sizes etc to fit nicely on different sizes of devices so that its easy to view and use. If you want to see how yours looks on different types of devices and don't have access to a whole load of devices, there are many online tools available like Screenfly and BrowserStack. So take a look at your own website and see if it's responsive and if you'd be happy with it if you were in your visitors shoes. If not then start planning as making it responsive will pay off. 2. Your Competitors Site is Way Better! Who doesn't want to be better than their competitors? Reviewing your competitors websites to see how they compare with yours is something you need to do at least once a year. If you find that their's is significantly easier to navigate, better designed and includes more relevant content, you can be sure your potential customers see the same. Everyone expects websites to be lightening fast and if your website doesn't match that expectation and load in about 2 seconds, visitors will go elsewhere. If it takes 4 seconds to load you are likely to lose over a third of your visitors. In short, the longer your site takes to load the more visitors you will lose. So you need to take this one very seriously. Website speed is also a factor in search engine rankings. What this means is that you will go further down the results pages if your site is slow. If you want to see how fast your website is loading try testing it using Google's PageSpeed Insight tool or Pingdom. If you do have speed issues and are considering the optimisation route be careful if you have a large site with a lot of optimisation issues as it could well end up working out more expensive and you may never achieve your goal. Sometimes the best route is a redesign so make sure you get a professional opinion. Redesigning your site will also provide the opportunity for you to achieve a lot more apart from making it faster! If you want to be found by people searching, then you must make sure your site is well optimised for SEO. With most buyers starting their research online when purchasing a service or product you need to build your SEO so that you rank for relevant keywords in search engines. Check your organic search engine rankings to see where you rank for your most important keywords. Also ask yourself if the business has changed and should you be looking to rank for some new keywords? If you're site wasn't originally built with SEO in mind then you should be looking to rectify that as a priority. In the meantime you can consider some paid search advertising like Google AdWords to help build traffic while you work on your SEO. It's really important to regularly put fresh content on your website whether it's a new blog post or updated product or service information. You don't want to have to pay a web developer each time you need to do this so make sure your website is built on a good content management system (CMS) like WordPress (which is Free) or something more sophisticated like the HubSpot COS Website Platform. There are loads of good content management systems available today so you've no excuse. If this is an issue then take back control of your site and have a new one developed on a good CMS. Poor user experience on your website e.g. difficult navigation, visitors can't find what they need etc. If you have an old site it can be difficult to resolve issues if they are on a large number of pages. So consider your options carefully. Most businesses evolve over time. If you're website doesn't evolve along side it then you are more than likely losing out on customers. Review it to see if it fits your business today and if it doesn't then its time for some change. it may well be that its just content updates or a few new pages but go through it all and see what needs to be done. All businesses want to attract visitors who are most likely to purchase, convert them into leads and onwards to a sale. Who exactly are we trying to attract to our website? What do our ideal clients look like? What business challenges do they typically face? Do we have content on my website to help them with their challenges through the whole buying process? Do we have at least one Call To Action on every page? Have we optimised out landing pages, forms etc? Check out our blog post How To Attract Ideal Clients to your Website too for tips on getting the right kind of traffic. Ever landed on a website that is cluttered with loads of long texty paragraphs that are difficult to read, crazy colours that just don't work, no visuals, sliders everywhere, no white space etc? Did you stay on it? Did it instill a feeling of trust in that company? I doubt it. The current average lifetime of a website is about 2-3 years. Web design 3 years ago was very different to what it is today. Advances in user experience design, user interface design and technologies all help make the user experience significantly better which ultimately impacts sales and your bottom line. So if your website looks old it's time for a facelift! If you're not actively promoting your website then ask yourself why not? Chances are that you are not happy with it or it no longer fits your business. Your website is the central hub for all your marketing efforts. Its the online face of your business. Its a really cost-effective way of generating leads. Its a source of helpful information for leads when moving towards a sale. These are all compelling reasons as to why you should be promoting it so if you're not happy with it , then its definitely time to figure out why. Consistent branding across your website, social media, advertising, print material etc is really important. If you're visual branding or your brand message is inconsistent then you should look to rectify it and ensure it is consistent across all channels including your website. Setting SMART goals for your redesign - you must do this if you are to be able to measure success at the end. If you would like a free review of your website then click on the image below or if you just need some advice on how to go about a redesign, feel free to contact me directly at sinead@webjourney.ie.